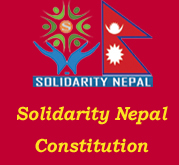 Solidarity Nepal has established Rs. 1M scholarship fund to empower child and youth throughout Nepal to pursue creative careers or find innovative ways to improve their education. This scholarship focuses on child and youth who are economically poor. Scholarship is based on financial need and academic performance and potential. Individual scholarship amounts and lengths based on students, type of curriculum as well as other factors. Asmita Thapa Memorial Award was established in the memory of Asmita Thapa (2055-3-25: 2068-4-1) who was expired while studying in class -8 at Brihaspati Vidysadan, Naxal, Kathmandu. This award has been set up in Shree Harrachour Secondary School in Harrachour VDC of Gulmi district. 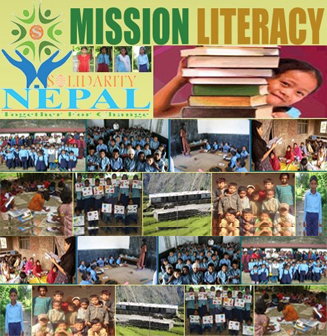 Solidarity Nepal instituted the Fund in memory of the Late Asmita Thapa. The interest of the Fund with Rs. 50,000 is spending to award the highest scorer -one girl -in the School every year. Menuka Karki is the daughter of Rudra Bahadur Karki and Man Kumari Karki, who are the resident of Hawa VDC Dolakha (currently living in Kathmandu). Even though Menuka has not visited Hawa for a long time, she has strong feelings for this place because this place is where her father and mother lived long time back with hardships. She does not recall much about this place but she knows that it’s a rural village and has many children, especially girls that are affected by war and are considered untouchable and hence are not being able to go to school even if they had strong desire to get education. In order to break this superstitious trend and to allow these children to get good education, Menuka initiated herself to establish a fund for these children and named it “RudraMan Scholarship Fund” to honor her mother and father for their enormous effort to provide her education to the level she wants. As for now she will only be able to help few children but she assures to help more children in this village and most probably other districts of Nepal too. 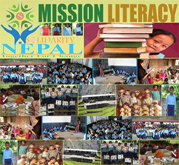 Menuka believes that those students who receive this benefit (scholarship) will be hard-working, devoted for their education and will be role model for other people around their society and also around that district of Nepal.